Currently we have a situation where SKINs & Apparel remain in the store for years, become dated and eventually clutter things up, to the point where we have almost 800 cosmetic items in store today. In order to keep the store fresh & easier to navigate, we will be retiring a large portion of our current SKIN & Apparel items in the coming weeks. We will be doing this through a series of weekly retirement sales, starting in March and running through until June, where retiring items will be sold at discounted prices before being removed from the store. So be sure to check the store each week during this time to grab a bargain on your favorite item before they retire. While we will continue focusing our efforts to deliver more high quality and unique SKINs in store. To keep things fresh, we will be limiting the amout of time that SKINs spend in the New Eden Store to 3 months, at which point they will be retired. This change will allow us to ensure that the store maintains the right amount of easy to navigate content, while also providing players with discounted prices much sooner than before with a retirement sale each time a SKIN is retired. Will Retired SKINs Ever Return to the Store? While most SKINs will be gone for good once they have been retired, we will look for opportunities to bring back popular and thematic SKINs for limited sales in future. So that’s everything for now, and we hope these changes will improve your store experience. 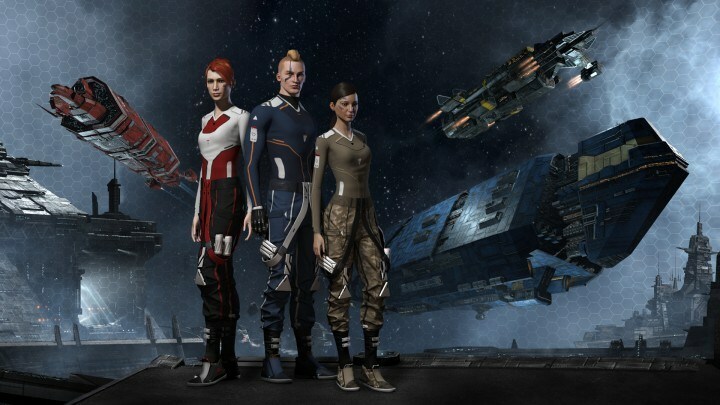 We want to thank you for making it this far through the blog by offering a small reveal: To celebrate 15 years of EVE Online, we have some special sale events planned, so stay tuned for further updates and thanks to each of you for 15 great years! If you'd like to discuss this dev blog, you can do so over on the EVE Online forums in the comments thread. Fly safe & enjoy some retail therapy! The root of your writing while appearing reasonable initially, did not sit very well with me after some time. Someplace throughout the sentences you actually managed to make me a believer unfortunately only for a very short while. I nevertheless have got a problem with your jumps in assumptions and one would do nicely to help fill in those breaks. If you actually can accomplish that, I could undoubtedly be impressed. You actually make it appear really easy with your presentation but I to find this matter to be really something which I feel I’d by no means understand. It seems too complex and extremely huge for me. I am having a look forward to your next submit, I will try to get the grasp of it! Hi my loved one! I wish to say that this post is awesome, great written and include almost all important infos. I?¦d like to see extra posts like this . Thanks , I’ve recently been looking for info approximately this subject for a long time and yours is the greatest I’ve came upon till now. But, what concerning the conclusion? Are you certain concerning the supply? It’s truly a great and helpful piece of info. I’m satisfied that you shared this useful information with us. Please stay us up to date like this. Thanks for sharing. My brother recommended I may like this blog. He was once entirely right. This post actually made my day. You can not believe simply how so much time I had spent for this info! Thank you! I am writing to make you be aware of of the fine discovery my friend’s daughter enjoyed reading through your web site. She even learned so many pieces, most notably how it is like to possess a marvelous coaching spirit to let others quite simply know specific multifaceted matters. You really surpassed visitors’ desires. I appreciate you for delivering these effective, dependable, revealing and also cool tips on this topic to Ethel. to run your website, however what if you added something that makes people want more? glance at Yahoo’s home page and watch how they create post headlines to get viewers interested. axfzol Spot on with this write-up, I actually believe this website needs far more attention. I all probably be returning to read more, thanks for the advice! My spouse and I absolutely love your blog and find many of your post’s to be what precisely I’m looking for. Would you offer guest writers to write content in your case? I wouldn’t mind producing a post or elaborating on a lot of the subjects you write regarding here. Again, awesome blog!